Mehbooba Mufti had earlier warned the BJP that trying to break PDP or interfering in Jammu and Kashmir will give birth to more separatist leaders. Hours after former Jammu and Kashmir Chief Minister and Jammu and Kashmir Peoples Democratic Party chief, Mehbooba Mufti, criticised the Bharatiya Janata Party of creating dissent in her party, which could possibly lead to the rebirth of militancy in the state, three rebel MLAs and two MLCs claimed that she was wrongly branding them as 'militants. In a press conference held in Srinagar, one of the rebel MLAs, Imran Reza Ansari, who was also a minister in the BJP-PDP cabinet, said that the rebellion in PDP is not being orchestrated and that it is Mufti who is to blame for the break up in the party. "We are the PDP. There is no separatist within us. There is no militant within us. We have been elected. We shouldn't be branded," Ansari told the reporters. The five rebel legislators further said that their outrage is not the result of centre's handiwork but that they had issues with the way PDP chief functioned when she was in power. 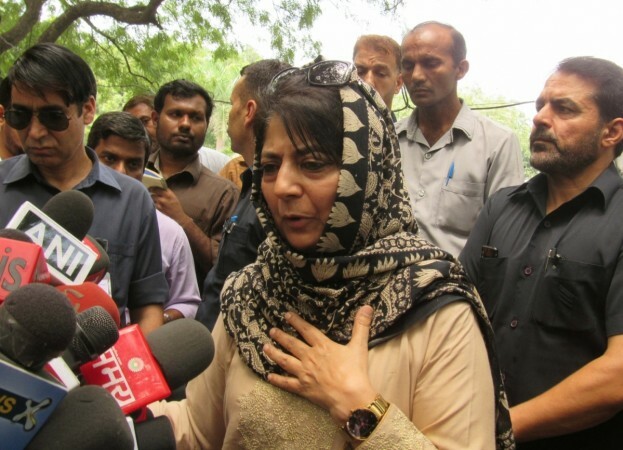 PDP and BJP are now engaged in a toxic war of words with Mehbooba Mufti accusing the later of creating cracks in her party, which could lead to a 1987-like situation when the armed insurgency broke out in the valley and the then contestants in Assembly polls took up arms. Earlier, Mufti had warned the BJP that trying to break PDP or interfering in Jammu and Kashmir will give birth to more separatist leaders. "If Delhi, tries to dismiss the voting rights of people like 1987, if it tries to create divisions and interfere like that then I think just like a Salahuddin and a Yasin Malik were born in 1987...if it tries to break PDP like that then outcomes will be dangerous," Mufti said, according to an ANI report.